This bracket is fitted to the 205 GTI and supports the rear end of the fuel tank heat shield. 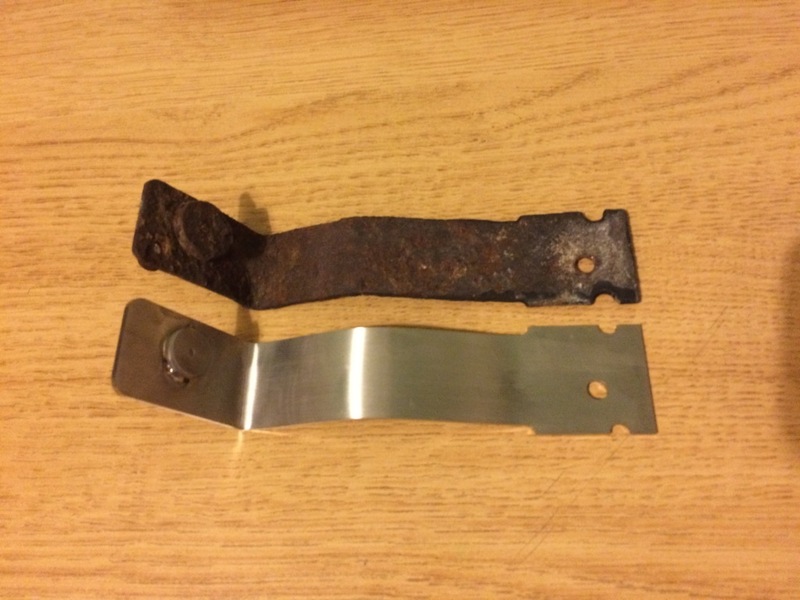 If the rear beam has been off the car for any reason, this bracket is often twisted out of shape or missing, not to mention corroded from 20+ years living underneath the car. Our reproduction item is a stainless steel item faithful to the shape of the original, with a stainless M10 stud TIG welded in place. 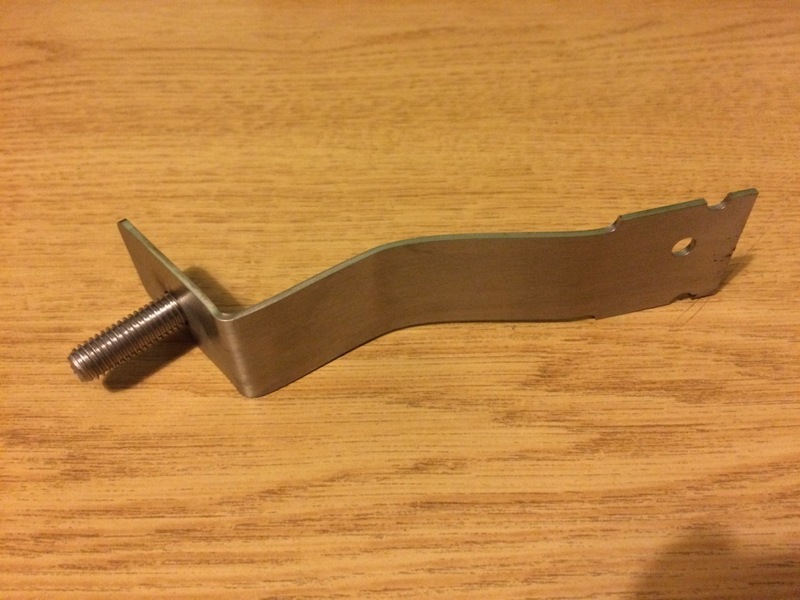 This bracket comes complete with an M6 and M10 flanged stainless nut to fit it to the car. Price for this bracket is £14 posted in the UK.